Abraham Lincoln was excerpted from Complete Prose Works of Walt Whitman (1892). Glad am I to give—were anything better lacking—even the most brief and shorn testimony of Abraham Lincoln. Everything I heard about him authentically, and every time I saw him (and it was my fortune through 1862 to '65 to see, or pass a word with, or watch him, personally, perhaps twenty or thirty times,) added to and anneal'd my respect and love at the moment. And as I dwell on what I myself heard or saw of the mighty Westerner, and blend it with the history and literature of my age, and of what I can get of all ages, and conclude it with his death, it seems like some tragic play, superior to all else I know—vaster and fierier and more convulsionary, for this America of ours, than Eschylus or Shakspere ever drew for Athens or for England. And then the Moral permeating, underlying all! the Lesson that none so remote—none so illiterate—no age, no class—but may directly or indirectly read! Abraham Lincoln's was really one of those characters, the best of which is the result of long trains of cause and effect—needing a certain spaciousness of time, and perhaps even remoteness, to properly enclose them—having unequal'd influence on the shaping of this Republic (and therefore the world) as to-day, and then far more important in the future. Thus the time has by no means yet come for a thorough measurement of him. Nevertheless, we who live in his era—who have seen him, and heard him, face to face, and are in the midst of, or just parting from, the strong and strange events which he and we have had to do with—can in some respects bear valuable, perhaps indispensable testimony concerning him. I should first like to give a very fair and characteristic likeness of Lincoln, as I saw him and watch'd him one afternoon in Washington, for nearly half an hour, not long before his death. It was as he stood on the balcony of the National Hotel, Pennsylvania avenue, making a short speech to the crowd in front, on the occasion either of a set of new colors presented to a famous Illinois regiment, or of the daring capture, by the Western men, of some flags from "the enemy," (which latter phrase, by the by, was not used by him at all in his remarks.) How the picture happen'd to be made I do not know, but I bought it a few days afterward in Washington, and it was endors'd by every one to whom I show'd it. Though hundreds of portraits have been made, by painters and photographers, (many to pass on, by copies, to future times,) I have never seen one yet that in my opinion deserv'd to be called a perfectly good likeness; nor do I believe there is really such a one in existence. May I not say too, that, as there is no entirely competent and emblematic likeness of Abraham Lincoln in picture or statue, there is not—perhaps cannot be—any fully appropriate literary statement or summing-up of him yet in existence? The best way to estimate the value of Lincoln is to think what the condition of America would be to-day, if he had never lived—never been President. His nomination and first election were mainly accidents, experiments. Severely view'd, one cannot think very much of American Political Parties, from the beginning, after the Revolutionary War, down to the present time. Doubtless, while they have had their uses—have been and are "the grass on which the cow feeds"—and indispensable economies of growth—it is undeniable that under flippant names they have merely identified temporary passions, or freaks, or sometimes prejudice, ignorance, or hatred. The only thing like a great and worthy idea vitalizing a party, and making it heroic, was the enthusiasm in '64 for re-electing Abraham Lincoln, and the reason behind that enthusiasm. How does this man compare with the acknowledg'd "Father of his country"? Washington was model'd on the best Saxon, and Franklin—of the age of the Stuarts (rooted in the Elizabethan period)—was essentially a noble Englishman, and just the kind needed for the occasions and the times of 1776-'83. 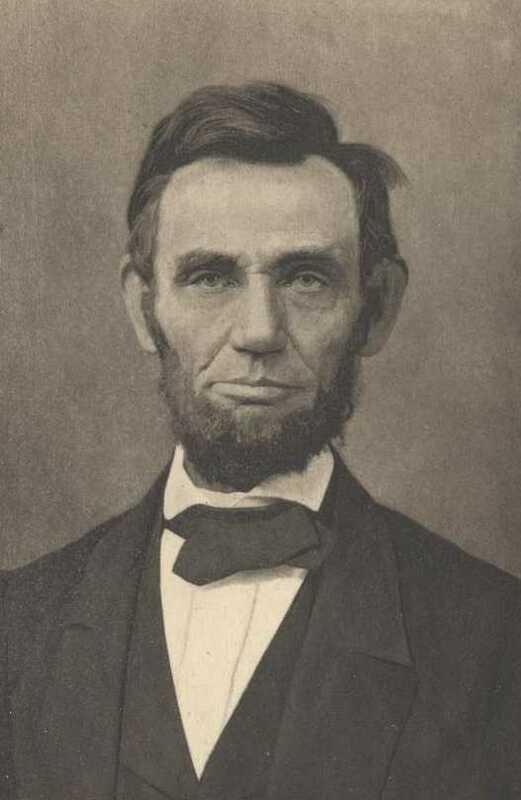 Lincoln, underneath his practicality, was far less European, was quite thoroughly Western, original, essentially non-conventional, and had a certain sort of out-door or prairie stamp. One of the best of the late commentators on Shakspere, (Professor Dowden,) makes the height and aggregate of his quality as a poet to be, that he thoroughly blended the ideal with the practical or realistic. If this be so, I should say that what Shakspere did in poetic expression, Abraham Lincoln essentially did in his personal and official life. I should say the invisible foundations and vertebra of his character, more than any man's in history, were mystical, abstract, moral and spiritual—while upon all of them was built, and out of all of them radiated, under the control of the average of circumstances, what the vulgar call horse-sense, and a life often bent by temporary but most urgent materialistic and political reasons. He seems to have been a man of indomitable firmness (even obstinacy) on rare occasions, involving great points; but he was generally very easy, flexible, tolerant, almost slouchy, respecting minor matters. I note that even those reports and anecdotes intended to level him down, all leave the tinge of a favorable impression of him. As to his religious nature, it seems to me to have certainly been of the amplest, deepest-rooted, loftiest kind. "So from the sluices of Ulysses' eyes Fast fell the tears, and sighs succeeded sighs." I have fancied, I say, some such venerable relic of this time of ours, preserv'd to the next or still the next generation of America. I have fancied, on such occasion, the young men gathering around; the awe, the eager questions: "What! have you seen Abraham Lincoln—and heard him speak—and touch'd his hand? Have you, with your own eyes, look'd on Grant, and Lee, and Sherman?" Dear to Democracy, to the very last! And among the paradoxes generated by America, not the least curious was that spectacle of all the kings and queens and emperors of the earth, many from remote distances, sending tributes of condolence and sorrow in memory of one rais'd through the commonest average of life—a rail-splitter and flat-boatman! Consider'd from contemporary points of view—who knows what the future may decide?—and from the points of view of current Democracy and The Union, (the only thing like passion or infatuation in the man was the passion for the Union of These States,) Abraham Lincoln seems to me the grandest figure yet, on all the crowded canvas of the Nineteenth Century. Enjoy finding out more about Abraham Lincoln and his speeches. Add Abraham Lincoln to your own personal library.